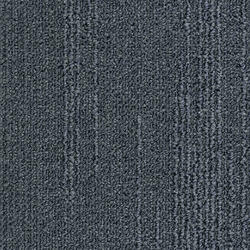 DESSO Grids is a tufted structured loop pile carpet tile with a subtle organic linearity which helps to visually subdivide and remove the anonymity of large interior spaces. Part of the DESSO Patterns@Play collection, DESSO Grids has a strong base of neutral tones complemented with more expressive colours in a refined combination of matt and lustrous metallic yarns. It is available in 12 shades.